NATURADOR® Luna Moss Absorber Nr. 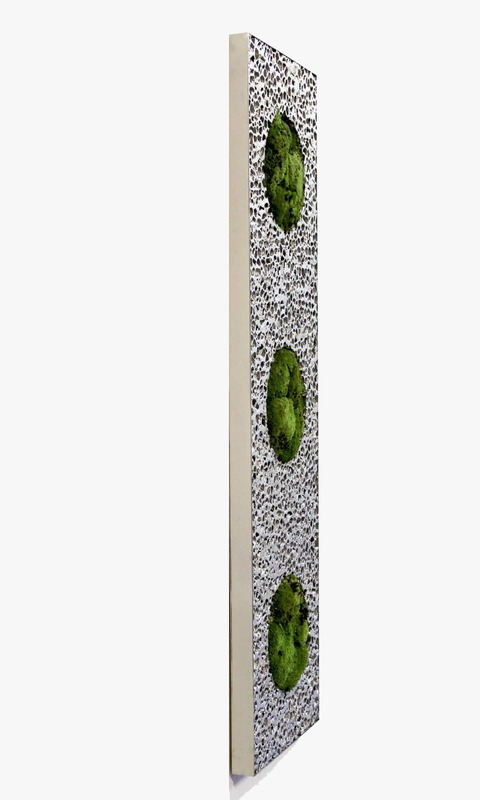 1 – the absorber made of aluminium and pole moss – absorbs sound, reduces reverberations and improves room acoustics and room feel. Available in 140 x 40 cm, aluminium with 3 pole moss circles, framed in aluminium. If you would like to have NATURADOR® Luna Moss in a bigger format, just get in touch with us..
Luna Moss Nr. 1 is framed in matte aluminium. The NATURADOR® Luna Moss Absorber Nr. 1 is the first in a row of absorber solutions for the improvement of your room acoustics. 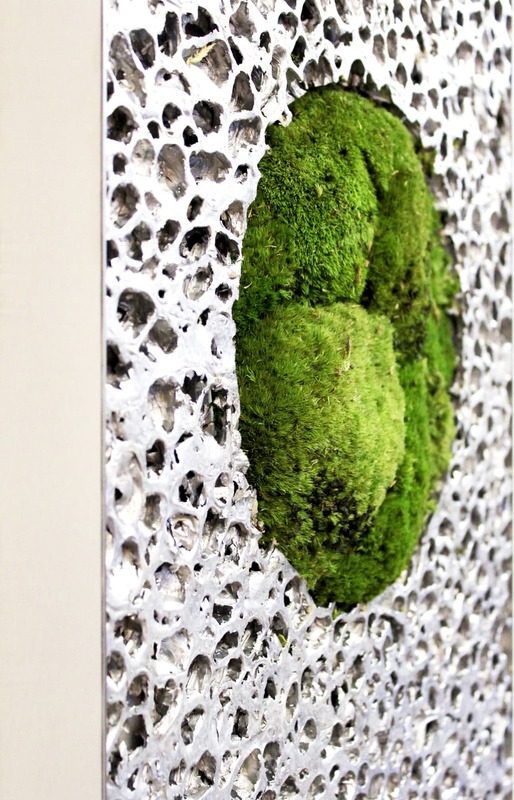 Hard metal meets soft moss. 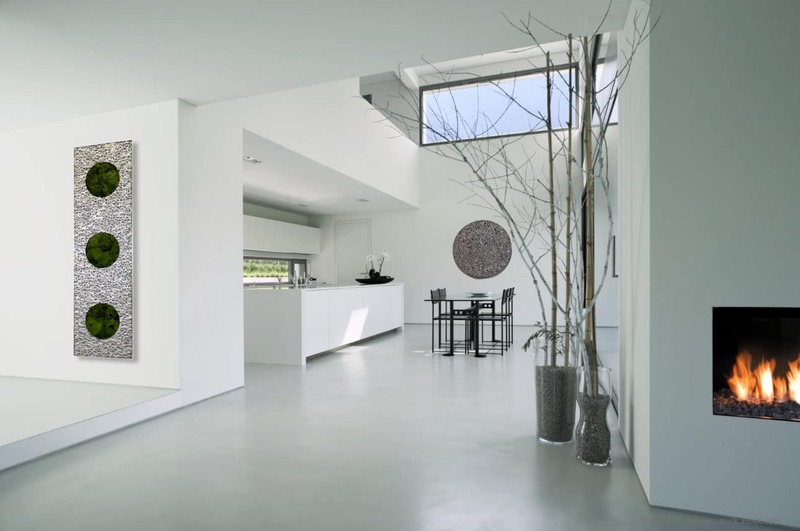 – These opposites form an exciting combination of technology and nature. 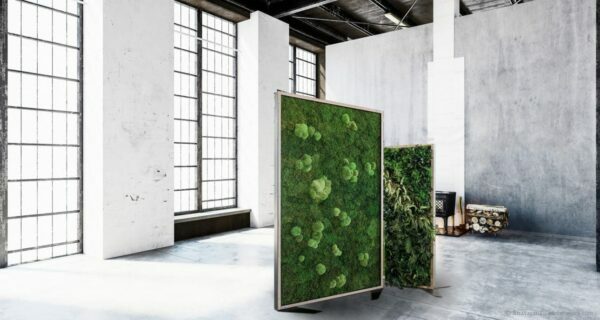 The biophilic structure of aluminium, combined with an effective absorber foam, and the big surface of pole moss absorb sound and reduce reverberations in your rooms – for better acoustics and a pleasant room feel.